January 03 to Feb 26, 2007. The largest religious gathering in the world. According to astrologers, the 'Kumbh Fair' takes place when the planet Jupiter enters Aquarius and the Sun enters Aries. Nasik (in Maharashtra) on the banks of Godavari river. 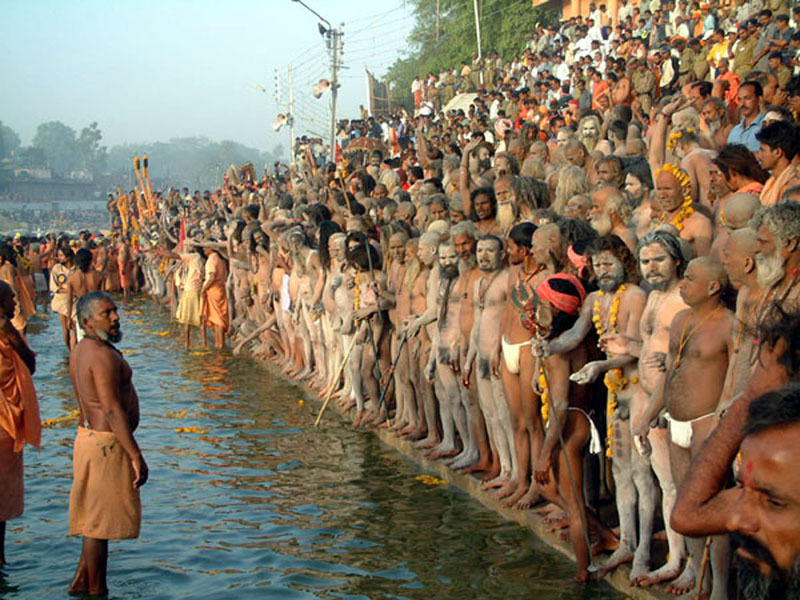 Ardha Kumbha and Maha Kumbha are the occasions when millions of people gather to take holy dip in the sacred waters. This is main reason for one to attend the Maha Kumbha and the Ardha Kumbha festival. It is believed that a holy dip in sacred rivers during Maha Kumbh or Ardh kumbh takes human out of the circle of life and death and one attains Moksha. Devotees, saints/sadhus turn up in great number from all over the world to take a dip in the holy waters of rivers like the Ganges, Yamuna and the mythological Saraswati at Parayag (Sangam). According to traditions these holy rivers offers purity, wealth, fertility and wash away the sins of all those who take bath. Last full moon of winter in the Hindu month of Paush. Makar Sankranti is the first day of the big bathing days. Kumbh Mela 2010 Bathing Dates. The main & common reason for one to attend the holy festival of Kumbh Mela is to take dip in Holy river. It is said that a holy dip in sacred rivers during Maha Kumbh or Ardh Kumbh takes human out of the circle of life & death ( stage known as Moksha ). Pilgrims & Sadhus in great number from around the world visit here to liberate themselves. Holy rivers like Ganges , Yamuna & celestial Sarawati at Parayag ( Sangam at Allahbad ) is age old symbol of Indian Culture & Civilization. These river offers purity, wealth, fertility and wash away the sins of those who bath in it. Mauni Amavasya is the "New Moon of the Saints." It is the main bathing day for holy men where they participate in naked processions. On this day new members to various holy orders receive their first initiation. 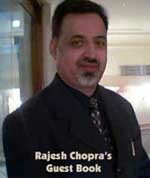 It is the fifth day of the bright half of the lunar month and the beginning of spring season in North India. People pray for bumper harvest on this auspicious day. It is the full moon day in the month of Magha (January - February). It is the third day of the main bathing days. The Ardha Kumbha in the year 2007 will be held at Allahabad. We are providing brief information about how to reach Allahabad for the Ardha Kumbha Mela 2007. Allahabad (Prayag) is one of the most revered holy places for the Hindus. It is the place where the three great rivers- Ganga, Yamuna and the mythological Saraswati meet. The place where these three rivers meet is called as Sangam. Allahabad, being an important religious, educational and administrative center, is well connected to major cities of India by air, road and Rail. Though Allahabad has a domestic airport but there are flights connecting only a few cities. The nearest airport from Allahabad is Varanasi, which is connected to most of the Metro cities in India, including New Delhi, the capital of India. Being situated on the main line of the Indian railways, there are direct trains for Allahabad from most of the major Indian cities. As Allahabad is located in the heartland of the great Indian plains, the road density is quite high in these parts. National Highways 2 and 27 pass through Allahabad. Here is a distance chart giving distance between Allahabad and other cities of India.